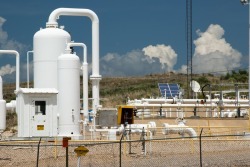 Environmental Safety Product Solutions, Inc. Established in 2006, ESPS was created to provide customers with the most innovative and efficient pump and tank systems in the waste containment field. With headquarters located just outside of Homer, Louisiana, our staff has over 25 years collective experience in the Oil and Gas Industry. 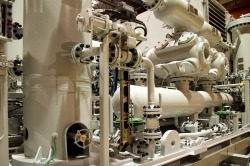 This has led us to produce a new line of products targeting the waste fluid management of the natural gas compressor. This product line is known as the ENVIRO-TANK 2000 SERIES. The ultimate goal of ESPS is to provide our customers with one company that is capable of successfully fulfilling their waste containment needs with optimum efficiency. To accomplish this, we have assembled a team of experienced professionals whose primary mission is the complete satisfaction of our customers. In addition, we have partnered with several other Environmental Supply companies enabling us to offer our customers a wide range of products designed to greatly enhance their overall environmental needs.